The residence of Rev. Michael Scerri in West Street, Valletta, almost opposite his monument in Independence Square. Within less than three months after the French had conquered the Maltese islands on June 12, 1798, the Maltese inhabitants rebelled against them. Within a few weeks, the Maltese insurgents had obtained help from the Portuguese and British navies which proceeded to blockade both Grand and Marsamxett harbours, which were under French control. The French had been compelled to relinquish their hold on the Maltese countryside as soon as the revolt broke but they retained control of Valletta, Floriana, the three cities of Cottonera and forts Ricasoli, Manoel and Tigné. The national monument of Rev. 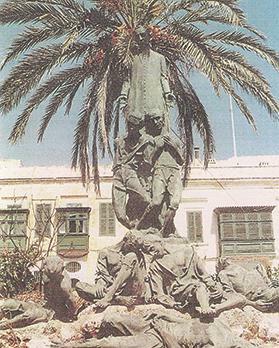 Michael Scerri and his compatriots at Independence Square, Valletta, was inaugurated on July 31, 1986. It is the work of Maltese sculptor Anton Agius. This meant that, at the outbreak of the insurrection, the French were in possession of virtually all the stored food-stuffs of the island since, for obvious reasons, the grain granaries had all been sited behind the safety of the main fortifications. By the end of October 1798, the Gozitans had expelled the French from their island but, notwithstanding the naval blockade, the massive fortifications constructed over the centuries by the Knights of St John and the Maltese would thwart the same Maltese in their efforts to capture the cities, while the grain supplies ensured that the French, veterans ably led by General Charles-Henri Belgrand de Vaubois, would be able to hold out for a very long time before they could be starved out. It was, in fact, a moot point who would starve first – the French or the Maltese. It seemed, therefore, that a feasible way of ending the impasse could be found by means of an anti-French plot engineered by those Maltese who had been forced, for various reasons, to remain living in Valletta. 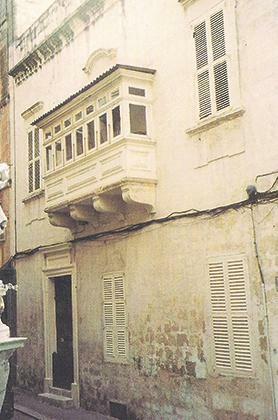 The residence of Guglielmo Lorenzi in Old Theatre Street, Valletta. The leaders of the plot were Fr Michael Scerri and Guglielmo Lorenzi. Żebbuġ-born 58-year-old Scerri, a professor of philosophy, was the ‘soul’ of the plot because of his popularity, kindness and the high esteem with which he was held by the populace. Lorenzi, a 60-year-old Corsican colonel, was a former corsair who had seen service with the Russians in their wars against the Ottomans. He was to be the military brains behind the plot. 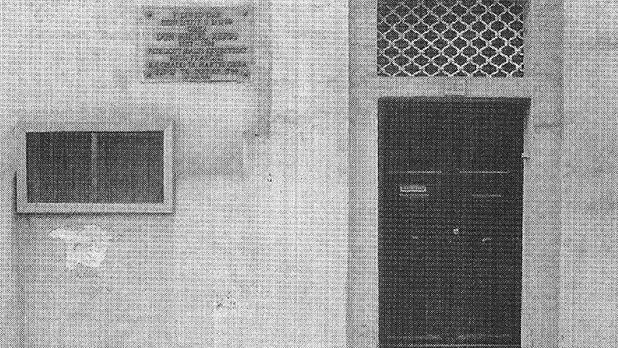 One of the Maltese leaders in the countryside, Vincent Borg (known as Brared) from Birkirkara, was informed by Lorenzi that an attack was to be made on the former Palace of the Grand Masters, where Vaubois had his headquarters. The signal was to be given by Fr Scerri from the belfry of St John’s church. A former militia officer, Francesco Peralta, had to lead an attack on the Grand Harbour side of Valletta while Luigi Amato, a former infantry officer, was to attack Valletta’s main gate, nowadays known as City Gate. The young 30-year-old sanitary inspector Matteo Pulis was to lead an attack on the Marsamxett side while signals were to be made from St James Cavalier for an attack by the Maltese from the countryside on the Floriana land front. The quarantine warehouses in which the men sent by Borg (Brared) were hidden. Each contingent involved within the walls was to be between 50- and 70-strong, and Borg had to secretly send about 200 troops, led by Andrea Calleja, to hide on the Marsamxett wharf till the attack materialised. Distribution of areas was to be made by Saverio Satariano. All preparations were in place for the assault to take place on Saturday, January 12, 1799 – 220 years ago this month. Unfortunately, on the eve of the planned attack, a Genoese vessel evaded the British blockade and slipped into harbour. Apart from foodstuffs, it conveyed news of French victories over Piedmont and Naples. This arrival was greeted with shouts of joy by the French soldiers, and the Maltese in the countryside erroneously thought it was a signal for attack. As one might expect, the assault failed. Lorenzi decided to postpone the revolt within the walls by a day but about 200 Maltese remained hidden within the old Marsamxett quarantine warehouses as agreed with Borg (Brared). To complicate matters, some Greeks warned Vaubois that a plot was in motion and he took steps to beef up security within the walls. However, all was not yet lost. 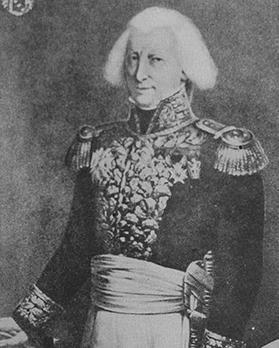 General Charles-Henri Belgrand de Vaubois, the military governor of Malta during the French occupation of the island. Vaubois decided to fully celebrate the arrival of the provisions and the news of French victories through various celebrations, including a theatrical presentation at the Teatro Publico (now the Manoel Theatre) then under the management of the famous Maltese composer Nicolò Isouard. 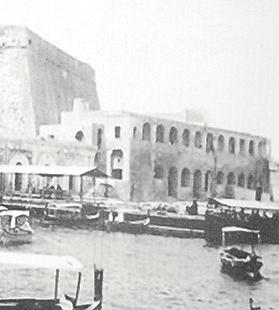 At the end of the celebration, in the evening, the commandant of Fort Manoel, Bovard, and another officer, Roussel, both serving in the 21st Half-Brigade of Infantry, were returning to Manoel Island when unusual noises on the Marsamxett wharf attracted their attention and aroused their suspicions that something may have been amiss. Roussel returned from Fort Manoel bringing with him seven French soldiers to check if all was well. When the Maltese, who were in hiding and in darkness, saw the French, they panicked because they did not know how small their actual number was. Some surrendered, others took to flight and some jumped into the sea to swim to safety. Next morning, another Maltese contingent hiding in the Valletta ditch was taken by surprise and captured. 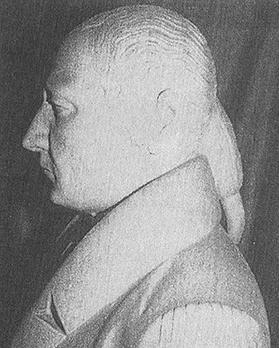 A marble bust of Vincent Borg (Brared) housed in St Helen’s Basilica, Birkirkara. It seems that the already-mentioned Saverio Satariano was also panic-stricken and, probably through fear and an inducement to save his own life, gave the French a whole list of the Maltese involved in the plot, including the names of the ringleaders. The president of the French Commission of Government, Bosrededon Ransijt, as former Knight of St John turned traitor to his Order, who had helped the French capture Malta, wrote quite plainly and clearly that if it were not for the incident at Marsamxett, probably the French would not have got to know about the Maltese plot. Whether it would have succeeded or not is a moot point and quite a different matter altogether. Documents in Maltese and Neapolitan archives, including correspondence by Scerri and Lorenzi with Borg (Brared) and Canon Francesco Saverio Caruana, another Maltese leader and a future bishop of Malta, prove conclusively that Scerri and Lorenzi were the prime movers and leaders of the plot. They were also rounded up with the others and paid the supreme penalty with their lives. In fact, between January 14 and April 16, 1799, no fewer than 43 patriots (and probably another two) were executed by firing squad. Lorenzi was among the first to die, on January 14, and Scerri was executed on the 17th. It seems that the British suspected that Lorenzi was acting for Russian interests but no real and concrete evidence has come to light to substantiate this suspicion, which was only really based on Lorenzi’s former military service with Russia. It has also been bandied about that Scerri was not in favour of a future British attachment. If this was so, it may partially explain why the abortive plot was not accorded the importance it merited. However, irrespective of their real or supposed political motives, Scerri and his friends were primarily moved to carry out what they attempted for love of their country and no Maltese should harbour any doubts as to their patriotism. Rev. Michael Scerri. Detail from a painting by A. Micallef Grimaud housed in the sacristy of St Philip parish church, Żebbuġ. A large and fitting bronze monument to Fr Michael Scerri and his patriot friends – the work of Maltese sculptor Anton Agius – was erected at Valletta and inaugurated on July 31, 1986, rather belatedly in this author’s opinion, though its erection and inauguration was more to the credit of private initiative than to the authorities. However, the plot has been accorded an honourable place in Maltese literature and culture through its important inclusion in the historical novels Nazju Ellul by Ġużè Muscat Azzopardi, Anġli tan-Niket by Gino Muscat Azzopardi and Ġużè Aquilina’s Taħt Tliet Saltniet, together with the lyrical opera I Martiri by Vincenzo Maria Pellegrini, set to music by Carmelo Pace, and last, but certainly not least, through national poet Dun Karm Psaila’s immortal poem Lil Dun Mikiel Scerri. A total of 11 men, comprising: Colonel Guglielmo Lorenzi from Corsica; Professor Rev. Michael Scerri and Rev. Bartholomew (k.a. Miju) Zarb, both from Żebbuġ. The following all hailed from Valletta: Captain Michael Vella; Sanitary Inspector Matteo Pulis; ex-Quartermaster of the Maltese Regiment Luigi Amato; ex-Lieutenant of the Cacciatori Regiment Gio. Francesco Peralta; Vincenzo Dimech; Francesco Preca (probably from Valletta). The following two men were also probably executed: Salvatore Rossi, a book dealer from Valletta; and the Greek merchant Giovanni Psicotta. Sixteen men from Mosta: Salvatore Aquilina; Andrea Bezzina; Francesco Borg; Giuseppe Camilleri; Francesco Chetcuti; Francesco Fenech; Simone Fenech; Andrea Galea; Domenico Galea; Giovanni Galea; Giuseppe Galea; Paolo Galea; Francesco Pisani; Giovanni Said; Francesco Xerri; Giuseppe Sciberras. Nine men from Valletta: Gio. Maria Azzopardi; Giuseppe Borg; Fortunato Buhagiar; Alberto Curmi; gunner Pietro Guarancini; Giulio Mamo; Ignatio Mifsud; Fedele Mizzi; Luigi Xiberras. Six men from Birkirkara: Angelo Attard; Giovanni Attard; Victor Busuttil; Giuseppe Ciantar; Pietro Psaila; Francesco Xerri. Three men from Senglea: Giovanni Fosca; Luca Gagliarda; Gerardo Scarpetta. Dr Joseph F. Grima is a former casual lecturer of history and assistant director of education. 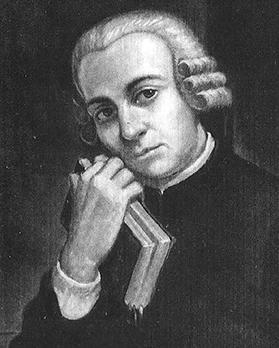 Among his publications are Malta u Franza 1798-1800 and The Fleet of the Knights of Malta – Its Organisation in the 18th Century.